The Mi Pad 4 has been leaking like crazy for the past few weeks, which is rather normal since the announcement should be held next week. 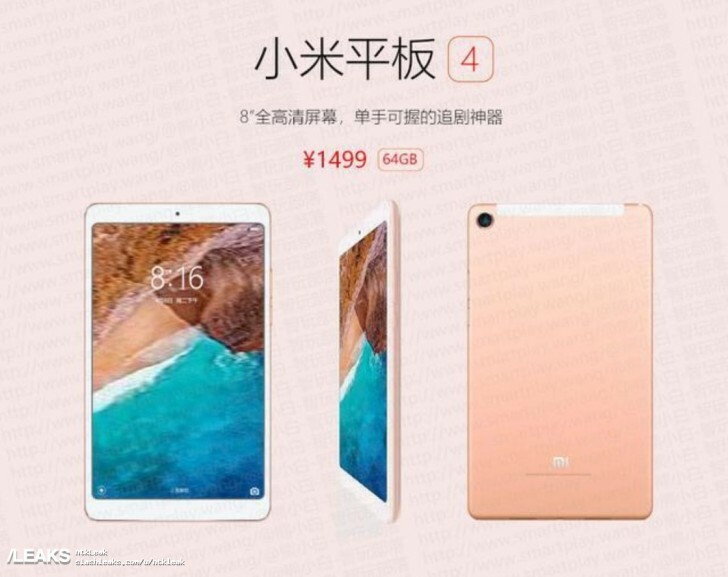 The latest leak reveals the Mi Pad 4's design featuring fairly thin bezels and its price. You can see from the advertising images that the Mi Pad 4 will be a reasonably compact tablet with 8-inch screen and 16:10 aspect ratio. However, the enclosure strongly resembles the one from the previous generation and if the initial rumors are anything to go by, the device should bring plenty of under the hood changes. Reportedly, the tablet will come with Snapdragon 660, a monstrous 6,000 mAh battery and a 13MP/5MP camera setup with AI-aided face recognition feature. 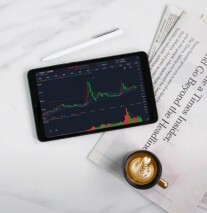 The asking price is expected to be CNY 1,499 ($230) for the base model with 4GB of RAM, 64GB of storage and WiFi-only connectivity. The more powerful variant with 6GB of RAM and 128GB of flash storage will be priced at CNY 1,999 ($308) and will also support LTE connectivity. Right, dunno why they made their note line more of midrange in the form of the note 2. Snapdragon Tablet! That's what I needed. Is there global version?